One of the largely overlooked albums of 2011 was the fantastic live album by Slaid Cleaves, Sorrow & Smoke: Live at the Horseshoe Lounge. 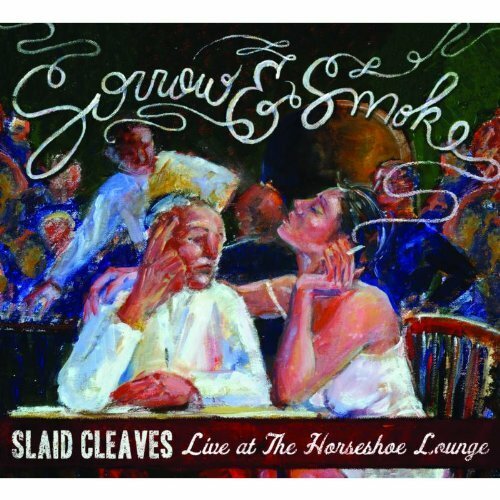 I caught Cleaves at Club Passim in Cambridge this past summer just before the album's release, and I can assure you that this album very faithfully reproduces Cleaves' live show. I took my 65-year-old parents to that show, and they loved it! Cleaves is truly a master of modern folk and alt country music, and my mom even said that he reminded her of Woody Guthrie. This album spans his career, from 1991 when he moved from his native Maine, to Austin, Texas, where he still resides. This album is a great primer for the newly initiated to Cleaves' music, and is an essential record for his long-time fans.